PASADENA, Calif. (January 19, 2016)—Television Critics Association Press Tour: In fall 2016, PBS KIDS will premiere SPLASH (w.t. ), a new animated series that dives into marine biology and ocean science. Created by John Tartaglia (“Imaginocean,” Johnny and the Sprites”) and Herschend Enterprises (Dollywood, Harlem Globetrotters), SPLASH (w.t.) is designed to encourage kids ages 4-7 to explore the diversity and spectacle of our natural undersea world. The multiplatform media property will debut on PBS stations nationwide, along with integral digital content. SPLASH (w.t.) follows the adventures of its title character, a yellow fusilier fish who has migrated all over the oceans before settling down with his family in Reeftown, where he befriends three inquisitive fellow sea creatures. Until Splash came along, Bubbles, Dunk, Ripple and most of the other Reeftown residents had no idea what lay beyond the cozy confines of their coral walls. 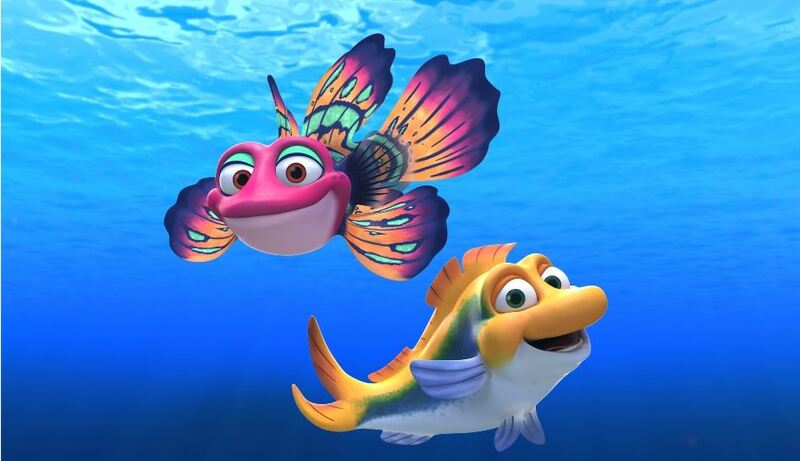 Together, Splash and his friends explore the world’s oceans, where they meet wildly diverse marine animals and discover otherworldly undersea habitats, bringing back what they’ve learned to share with their neighbors.